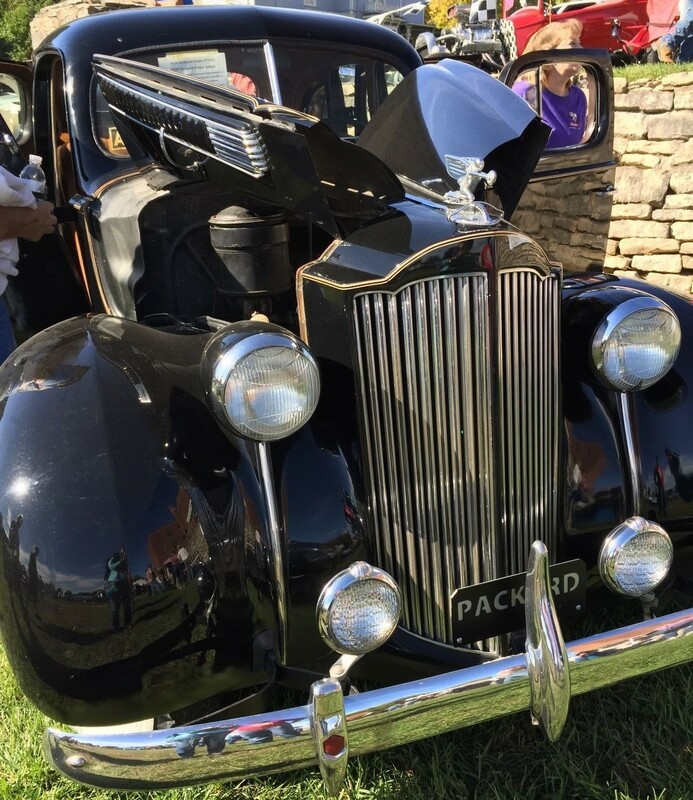 This old Packard certainly looks elegant in black with gold trim. It’s said to be mostly original except for a repaint of the hood and front fenders as well as new carpet. The seller believes himself to be the second owner. The pictures posted with the eBay listing are limited, so it’s hard to tell much about the overall condition. 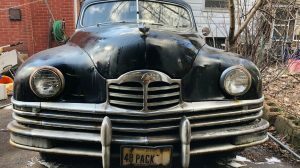 A few days ago I wrote up a very similar Packard that is a bit cheaper, but not quite as nice looking. 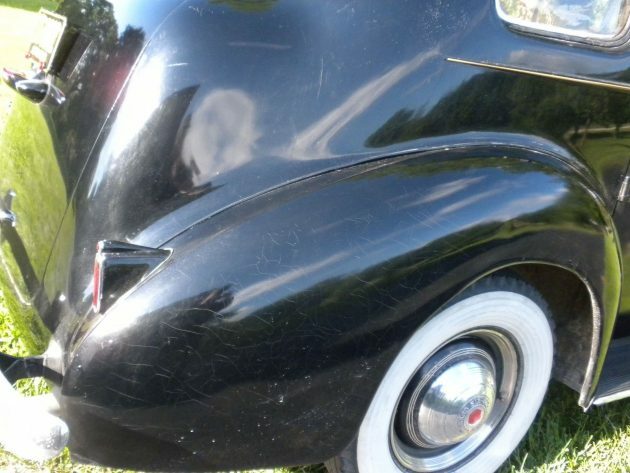 This Packard is priced at $23,000. 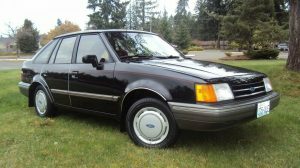 Do you think the slight differences in condition justify the higher price? 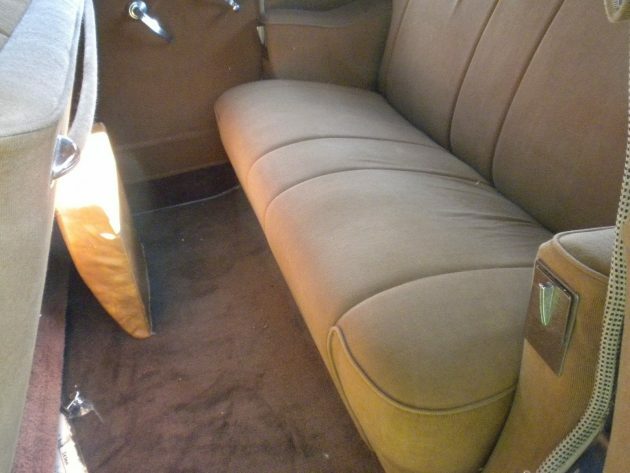 This is the only shot of the upholstery. It looks pretty nice, but it would be nice to see the front seat. 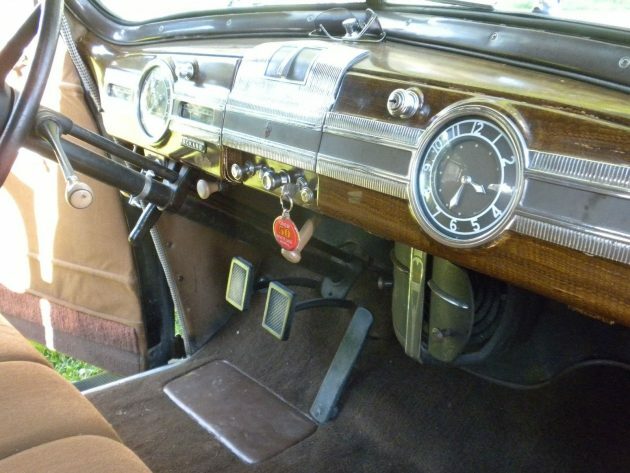 The dash looks nice too. The odometer says 54,893 but there’s no way to know if that’s accurate. The engine certainly looks a mess. 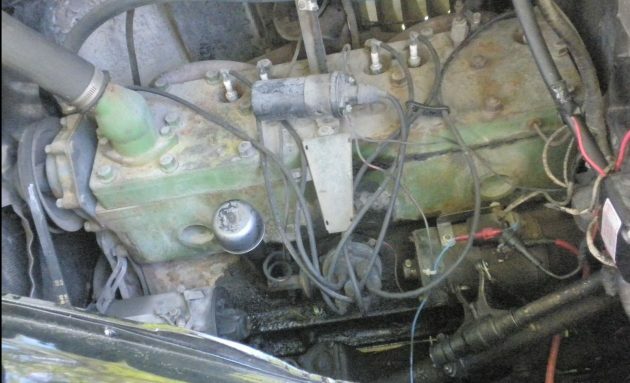 This does not look like the engine of a low miles well maintained car, but perhaps it sate for a number of years without being cared for. The paint appears to be cracking and checking in some areas. You have to wonder if the seller is hiding something with their selective photography. If both were the same price, which would you choose? Is there any way the $23,000 price can be justified? This Packard appears to be an older restoration. Could it possibly be original? What would you find if you traveled to West Des Moines, Iowa to see it. It will be interesting to see what you think. The pricing of the other Packard looked more in line with the value. The other 110 was much closer in terms of value. This is way overpriced, nobody is lining up to pay top dollar (and then some) for these old sedans. The 4 door sedans are the lowest performing segment in pre war cars. Unless they are collector quality they simply don’t carry the cache that the others do. 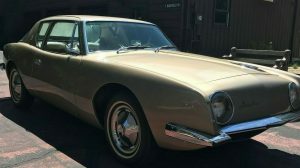 As a Packard owner [about 300 Packards over the last 45 years], I believe the price is way too high. the NADA book lists one in beautiful condition at less money. On the positive, it has the deluxe heater/defroster, overdrive, & clock. But it appears the car was sold when new with a non-Packard heater, and the old mounting holes are still visible in the firewall. This car needs paint, bodywork, the glass replaced, and the interior is not original. Thanks, Bill, for sharing your knowledge! I wonder if it’s actually an older restoration. If all the needed work was done, (paint, bodywork, the glass replaced, interior) it still wouldn’t be worth the asking price, would it? It’s worth whatever a buyer is willing to pay. All depends on how much you want it. I verify the interior is original except carpet. Verified by local upholstery shop. He installed the carpet. Front was worn excessively. Hey Bill I don’t appreciate your ‘hip shot’ remarks ref. the interior. Hacked wiring, horn button on side of column and disheveled appearing engine compartment just to name a few things that stick out. No way is it worth anywhere near what he is asking, maybe half? Corn mustn’t be the only thing they grow in Iowa. I’ll take the one from yesterday, even at the same price. 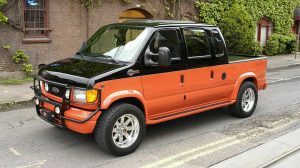 Only advantage I see with this one is the overdrive. Spot on, lee. These cars, especially like this, have fallen off the radar, the other way. I was watching an auction on TV not too long ago, and a Packard like this came through, looked much nicer, and struggled to get $7,500 bucks. Even the narrators couldn’t believe it. I also think the 6 is underpowered for this car. Also, I read, the “110” didn’t come out until 1940, so I think this is just a “Packard Six”. Bill? Nice car, but losing interest fast in this day and age. Both cars are cool but as with anything car, truck, gravely tractor,house you name it, location and type of population is everything. Example a VW in California may get thousands more paid for it than say in Allentown, PA even if both were exactly the same condition. I have seen other ’39 110 Packards so I believe this is the 1st year. Interior could be original, certainly more correct than the car the other day. Gold pinstriping is not correct. My question is why paint the front end and not the rest of the car? Probably because that is where it was wrecked and they did that to match the colors. I wonder if there is any over spray on the rubber piping between panels on the rear of the car.